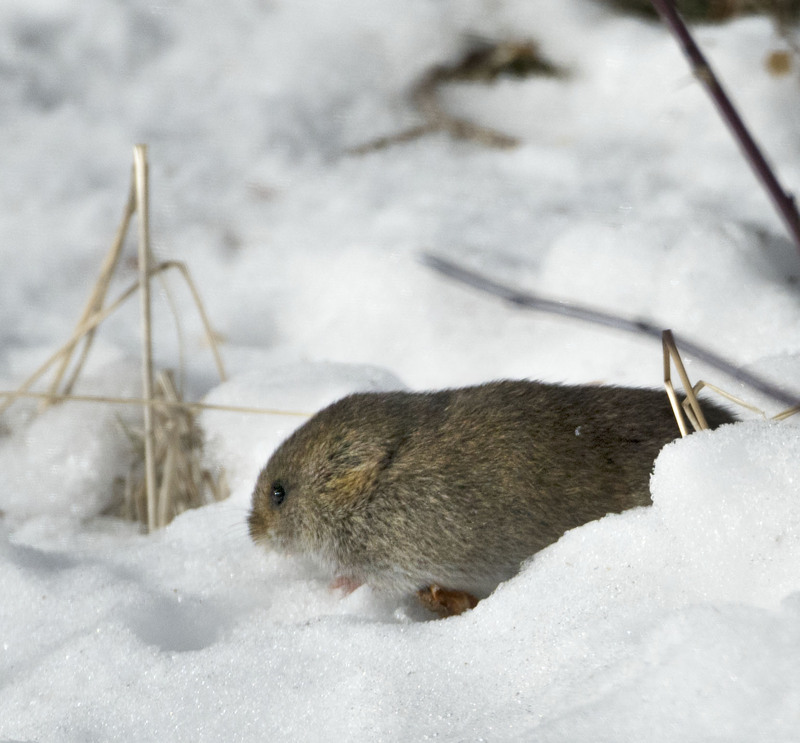 While I see the trails all over the place in the snow I seldom see Voles out in the open and for good reason given how many different predators prey on them. This day I kept seeing this Vole darting in and out of a tunnel grabbing what appeared to be a quick bite to eat. They seldom stayed for more than a few seconds but is was great to get a good look and a few (albeit a bit fuzzy) photos of these small mammals. Cute little thing, but no friend in the garden! Hi Eliza, yes these little guy do wreck havoc in the garden. But hey everybody has to eat. Foxes do like to nibble on voles? What a treat to see one and get photos! Hi Sarah, it was a treat to see this little guy darting in and out their tunnel grabbing a nibble. Hope your weekend is going well. A fine little guy. Now that the snow is melting a bit I see less of his tunnels. Hi, well most of the photos were much fuzzier than those posted and I did work to make them a bit clearer. 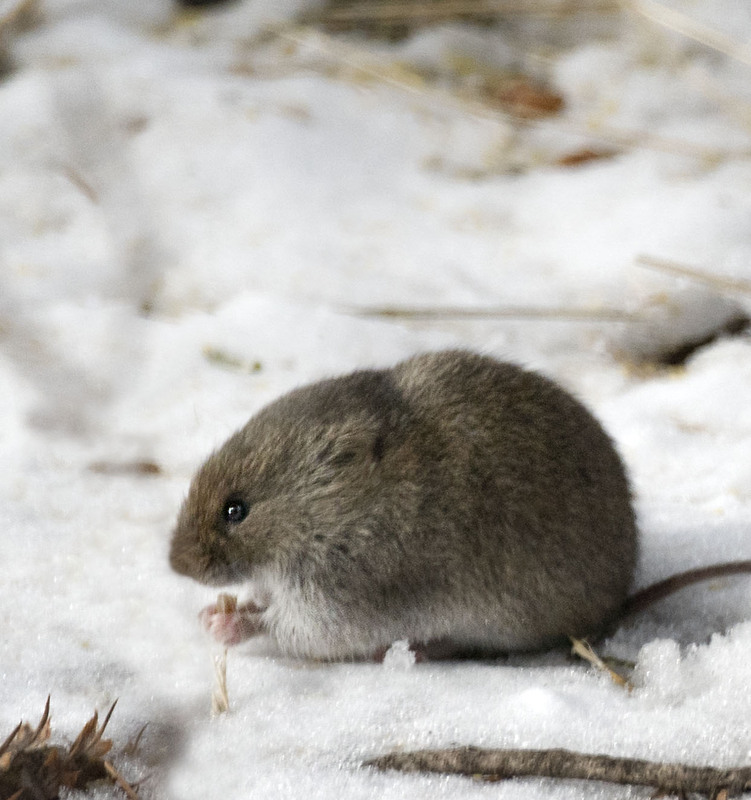 Vole are cute little critters but do have a big appetite.